What’s Organic About Organic screened locally last month for one night only at a yoga studio on South Beach. If you missed it and want to see the film, you’ll have to buy the DVD. Copies (licensed for home viewing) are available for $20 (+ $5 shipping) on the movie web site until Dec. 31. You have the choice of donating 10 per cent of the proceeds to FOG (Florida Organic Growers), the not-for-profit educational arm of the organic certifying agency in Florida. Many of the people who read this blog are already aware of the importance of eating local and organic food. They’ve had their culinary awakening. Readers I’ve met tell me they’ve read Michael Pollan, seen the movie Food Inc., and are aware of horrors of factory farming. They’re doing their best to clean up their act in hopes of cleaning up the food system. As a result they are CSA members, shop at farmers markets, and/or grow their own food gardens. That’s all well and good. Now, as conscious eaters and locavores, how do we take it to the next level? How can we eat with an ecological consciousness? Growing and eating organic food is an environmental act. 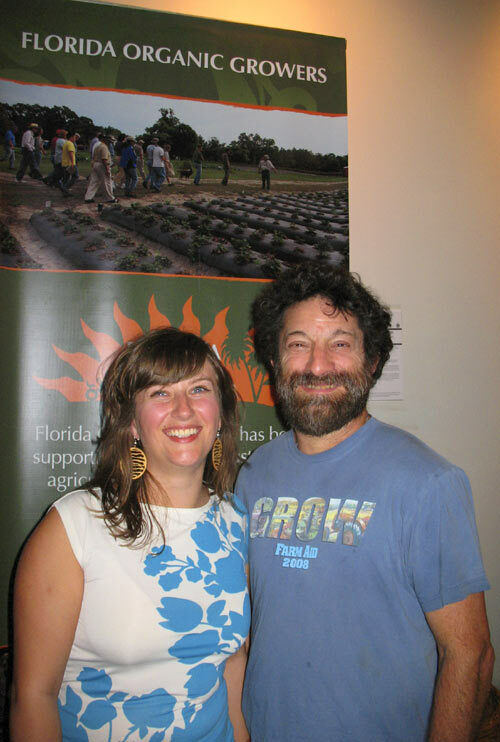 WOAO interviews several organic farmers who grow according to what’s good for soil and plants. They see themselves as stewards taking care of the land, with a stated mission of preservation of farmland, as compared to conventional or “chemically addicted” growers. 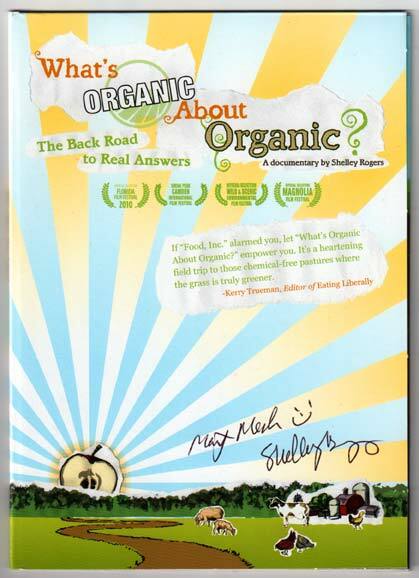 The film also follows the evolution of organic regulation and marketing of organic foods. The organic marketplace is getting increasingly consolidated, and “small farmers can’t meet price or variety or volume to get into larger stores. They (large chain stores) want only what they can market,” Marty said in the film. And, according to the film, one solution would be to create a farmer-owned brand which doesn’t compromise its organic principles and practices, and which can market itself to stores like the large growers do. Marty was was interviewed for the documentary, and is also its co-producer. He was present at last month’s screening, where I met him and filmmaker Shelley Rogers. Sharing answers to these questions led her to grad school at NYU where she got her degree in media culture and mass communication. She was inspired to use media for social change, and started work on WOAO in 2005. “I want to get people to become aware of the environmental benefits of organic production. I want them to think for themselves, and see that organic is valuable.” More consumers have to become involved in the organic food movement, however. If it’s farmers only, it’s a big uphill battle.